Nonprofit Events | Michael P. Wasserman, Inc.
Michael P. Wasserman, Inc. offers the most complete range of services to nonprofit organizations. As your partner in developing an effective and memorable event, we provide the skills and experience to do so much more than execute a flawless event. We communicate your core values and mission with every element of the project. Decades of experience in the nonprofit realm give us extraordinary expertise in creating and executing projects that maximize financial objectives and communication goals. 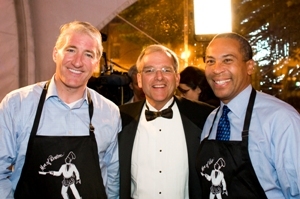 MPWI has managed Codman Square Health Center’s signature event, Men of Boston Cook for Women’s Health, for many years. Each year approximately 800 guests gather under the “Gala Tent” at the Health Center in Dorchester to sample food prepared and donated by thirty of Boston’s finest restaurants and served by male “Celebrity Chefs” from the worlds of politics, entertainment, sports and business. Celebrity Chefs have included Governor Deval Patrick, Mayor Thomas Menino, Senator Scott Brown, CNN’s Chief National Correspondent John King, and New England Patriot Vince Wilfork. Men of Boston Cook for Women’s Health has been named one of Boston’s top events by BizBash, a leading trade media for the event industry. In November 2011 CommonWealth magazine brought together the stars of Massachusetts’ media, politics and civic life and 500 guests for a bi-partisan celebration of politics, pundits and the press. This was the first event of its kind for MassInc., CommonWealth magazine’s parent organization. 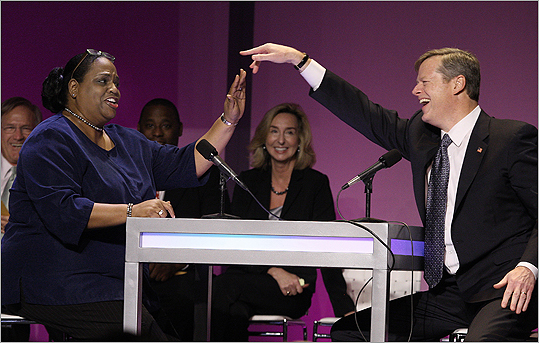 The event at the John F. Kennedy Presidential Library and Museum included a cocktail party, dinner, and program providing a long overdue opportunity for some non-partisan political fun where humor and humility reigned supreme, including Mayor Menino doing his best “Godfather” impression. The Children’s Hospital League held its 2011 Gala, “Color the World”, at the Museum of Fine Arts, Boston. 425 guests attended the annual benefit, which raised nearly $600,000 for the hospital. The evening began with a reception and silent auction, featuring many fine items donated by area shops and restaurants, followed by dinner and live auction. WBZ-TV’s Lisa Hughes served as the evening’s hostess. Dancing to the music of “Mystique” capped the special evening fundraiser.